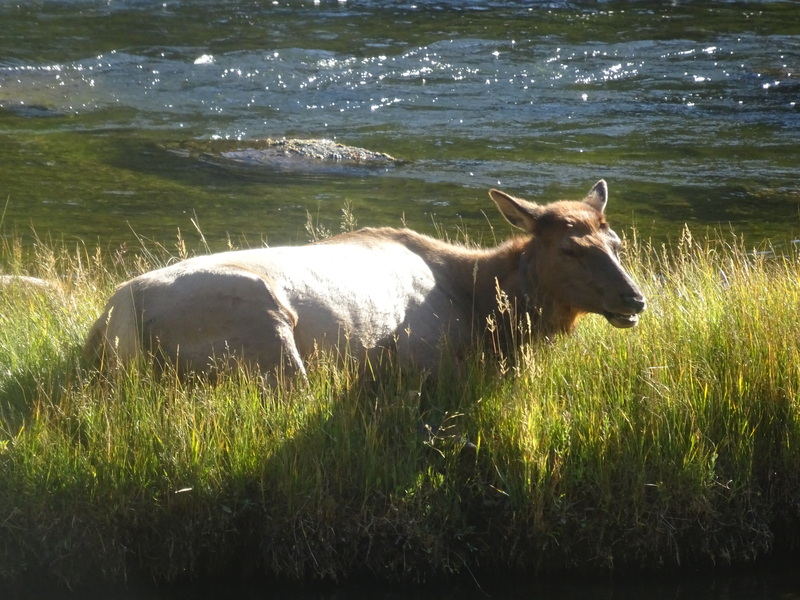 Yellowstone National Park is known for its abundance of animals so we were very excited about our visit. 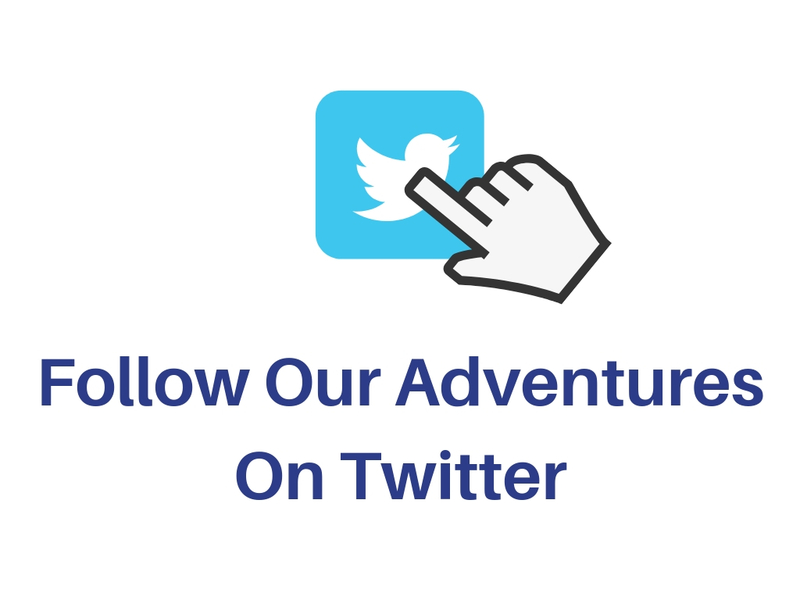 The sheer amount of wildlife is stunning and we couldn’t’ believe our luck. But how and where do you find the Yellowstone animals? 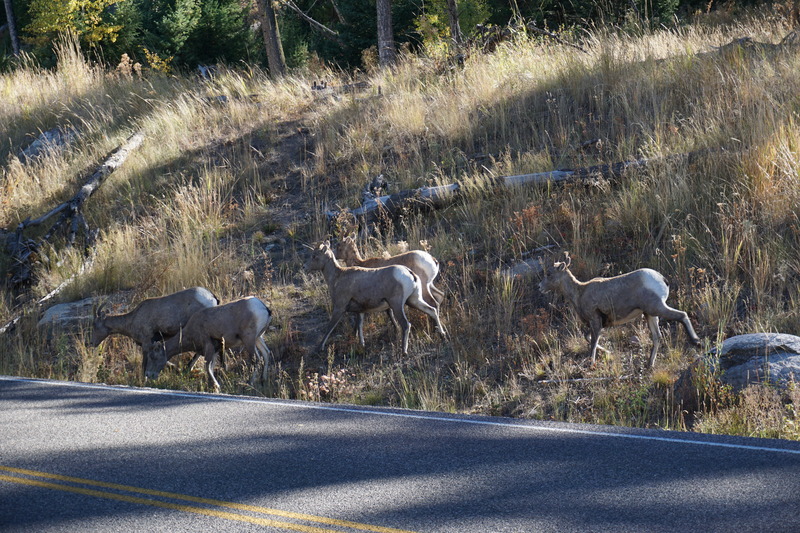 Even if you’re not keen on hiking you’ll see wildlife from the seats of your vehicle. Very often the animals use the roads as a way of getting around. It sounds strange doesn’t it but it’s true. You don’t have to go out into the middle of the wilderness to see animals up close. 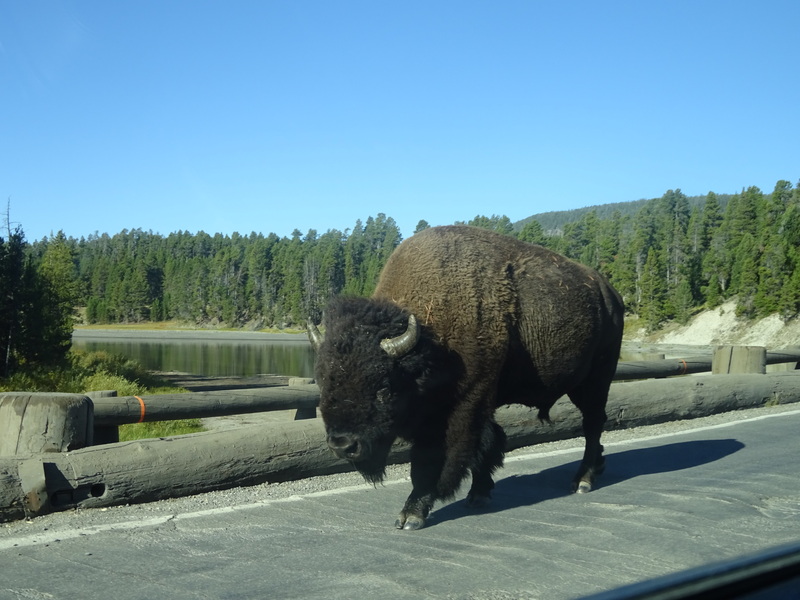 We had several encounters with Buffalo herds, Elk and Bighorn Sheep who were just strolling along the roads in their own time. Traffic jams can build when there are animals on the roads as you can’t hurry them along and have to wait for them to go at their own pace. It’s pretty amazing to have a herd of Buffalo just walk past your car. With there being so much wildlife around, driving carefully and not too fast is very important. 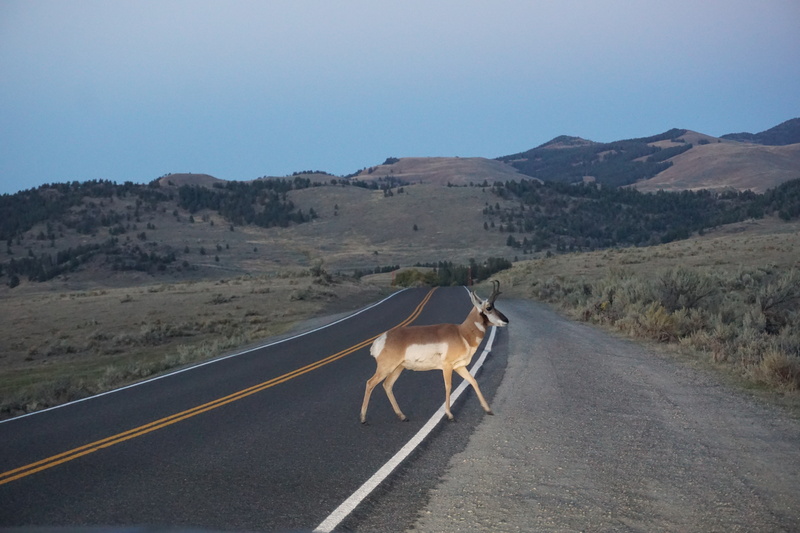 Animals can jump into the road very quickly and take you by surprise especially around dusk time. It’s best to be off the roads by sundown. Our very first morning as we drove into the park from the East entrance we saw a group of cars stopped by the roadside and people out of their vehicles. We stopped too and were so pleased we did. 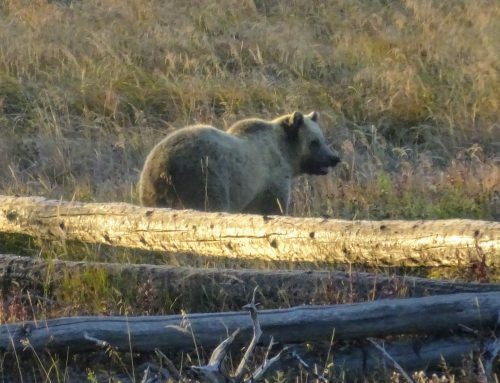 After asking people what they could see, they pointed out a female Grizzly bear foraging for food down in the trees. She was difficult to see without them pointing her out. People even let us look through their powerful cameras they had set up to get a better view of her. We soon learnt that we needed to stop wherever we saw cars stopped. Of course, it can get funny if you just stop to look at the view and then you suddenly have loads of cars stopping and people trying to see what you’re looking at. The Lamar Valley is situated up in the North East area of the park and is the place to come to see lots of Yellowstone animals. Huge herds of Buffalo roam across the valley landscape. 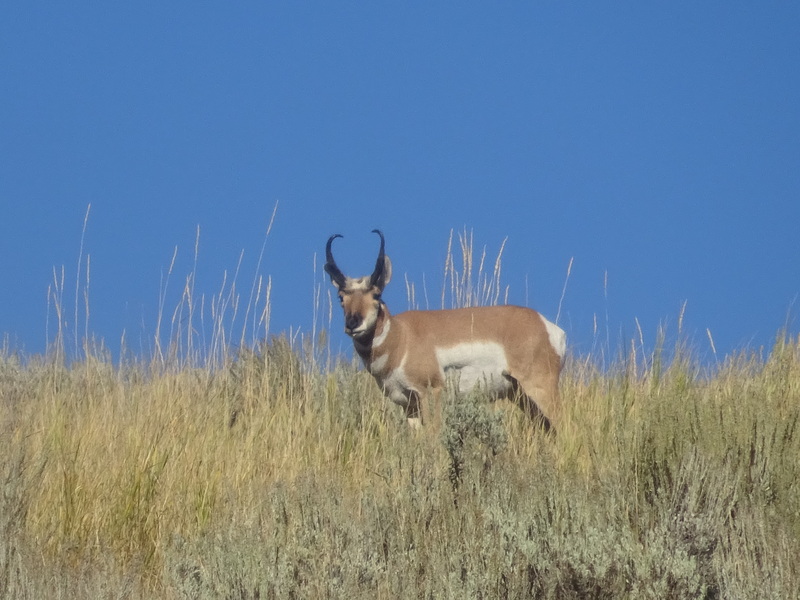 Elk and Pronghorn are also abundant in the area. 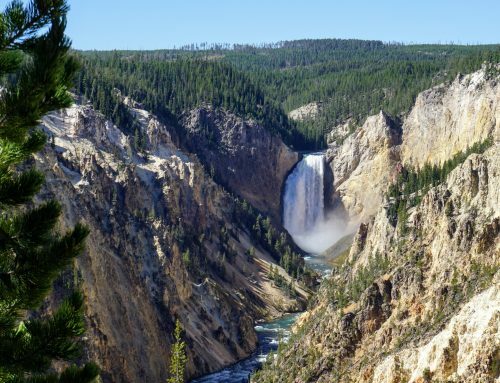 This is also the place to come to have a chance at spotting the Yellowstone wolves. We didn’t see any wolves but you need to be here at sunrise or sunset for the best chances of seeing them. There are also bears in the area although we saw bears in other areas of the park. You’ll see the obvious wildlife wandering along the roads etc but some of the animals are a lot shyer so you need to keep an eye out for them. 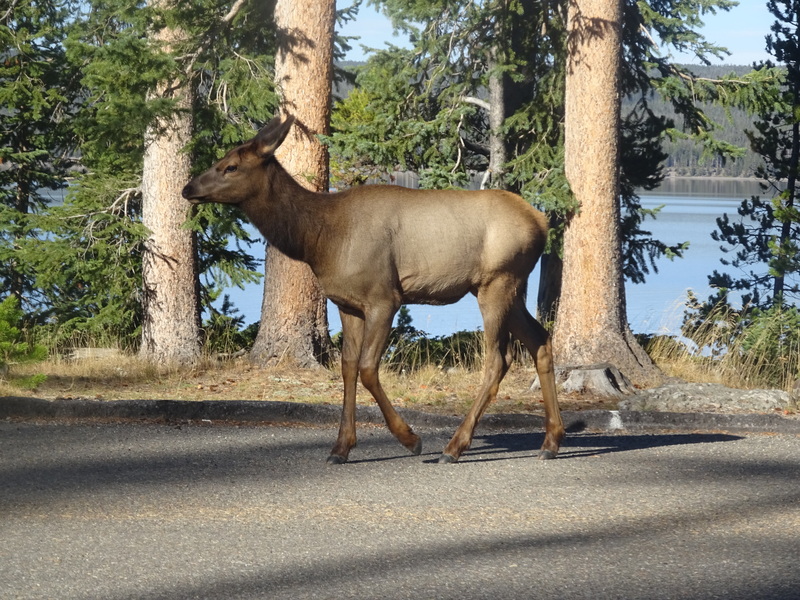 You can often be driving or walking right past Yellowstone animals without even knowing it. 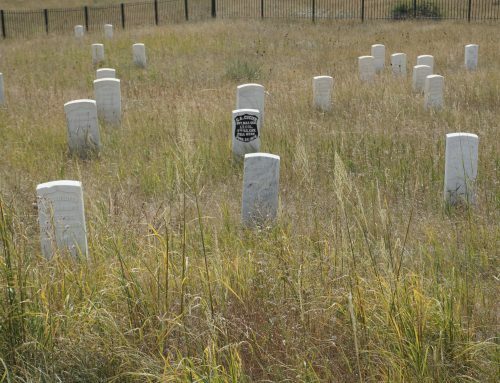 They are really good at blending into the landscape so you need to be alert and eagle-eyed. On a few occasions, we saw deer back in the trees and of course, we saw Grizzly bears. If you have children, they will love trying to spot animals. Make sure you have either binoculars or a spotting scope with you as some of the more elusive animals may a distance away from you. 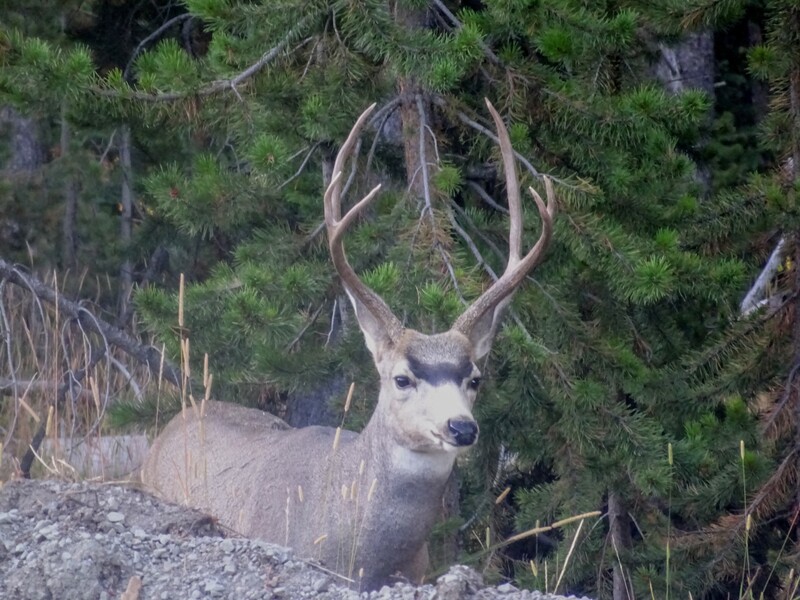 What Yellowstone Animals Will You See? Any wildlife sightings are a matter of luck. Being in the right place at the right time is crucial. 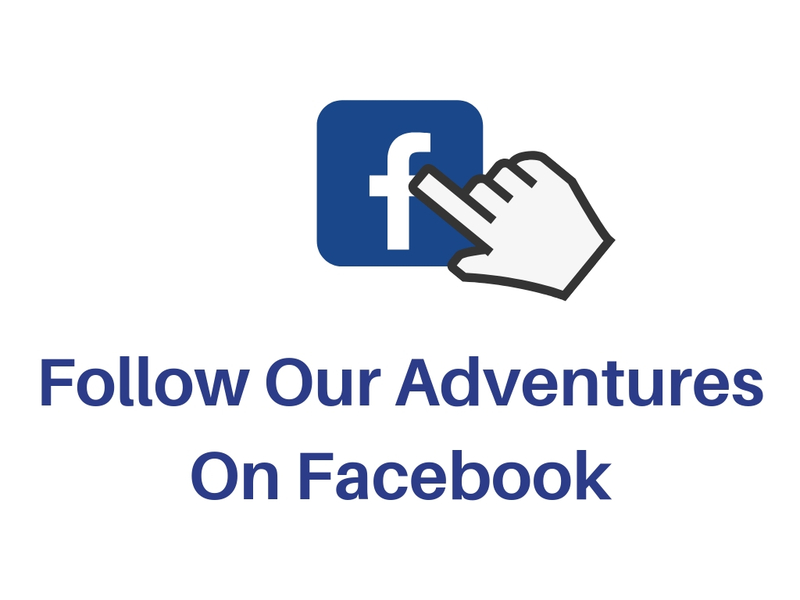 We felt we had been very lucky in seeing the amount of wildlife that we did but then we didn’t see wolves or black bears. Just enjoy your time there, be vigilant and hopefully, you’ll come up trumps. Remember to give wildlife space and keep your distance. A lot of these animals are dangerous if approached or aggravated in any way. Yellowstone is in bear country and we visited in September when they are furiously feeding to get ready for their Winter hibernation. There are two types of bear, the Black Bear and the Brown or Grizzly Bear. 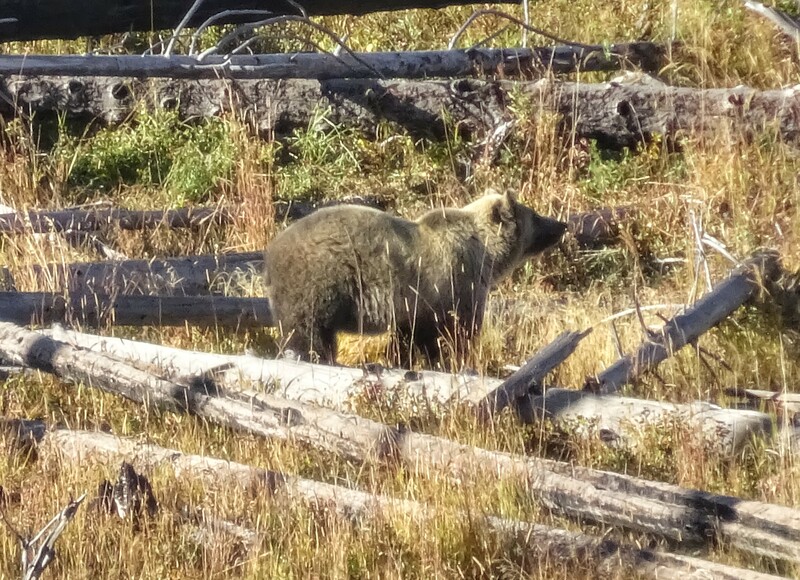 We really wanted to see Grizzly’s so we were over the moon when we saw one on our first morning in the park. Amazingly we went on to see two more grizzlies during our three-day visit. 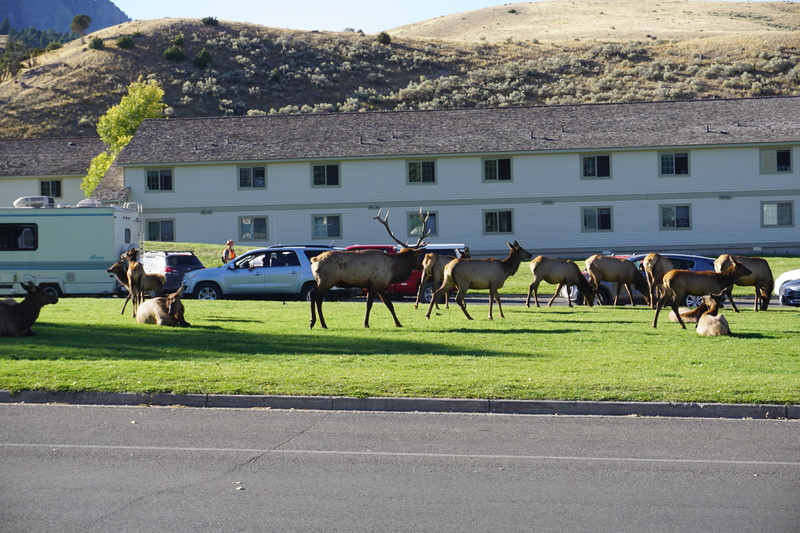 Elk are all over the park and we even saw a herd of them in the centre of the village of Mammoth Hot Springs. They are much bigger animals than we thought and the males are huge. Our visit was during the rutting season so the males were particularly noisy making bugling sounds to attract females and establish dominance. We’d never heard of Pronghorn before and the first time we saw them we thought they were a type of antelope but it turns out they are more closely related to the giraffe than anything else. We also learnt that they are the second fastest animals on the planet. You’ll see them mostly in groups around the park. These guys don’t look like sheep as we know them but more like mountain goats with their huge horns. We met a group of them just wandering along the road one day, not a care in the world as they walked past us. We had to ask someone what they were as we’d never seen them before. Wolves would have been amazing to see but unfortunately, we weren’t lucky enough. You could get lucky and spot them but I think it can be quite a challenge and take some planning. The best places to spot them ( I’ve read ) is in the Lamar Valley either very early morning or in the evening at dusk. You can also go on specialized guided Wolf watching trips. 1 – Obvious really but please keep your distance from the wildlife. It can be tempting to get closer for a great photo but you don’t want that photo to be your last. 2 – Make sure you have a good pair of binoculars or a spotting scope with you for viewing wildlife at a distance. 3 – Drive slowly as animals can appear from nowhere and run into the road. 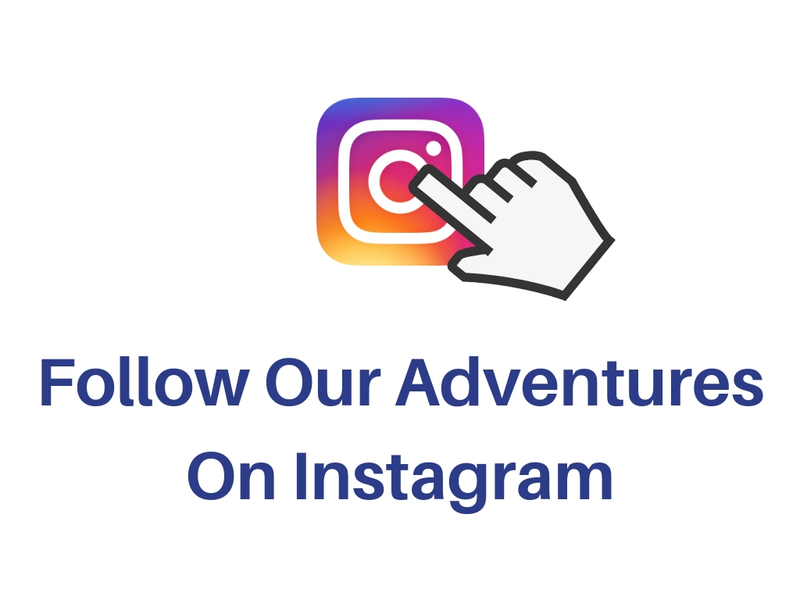 4 – Take your time and keep your eyes open for elusive wildlife. 5 – If you see lots of cars parked by the side of the road, it probably means there is some wildlife to see. 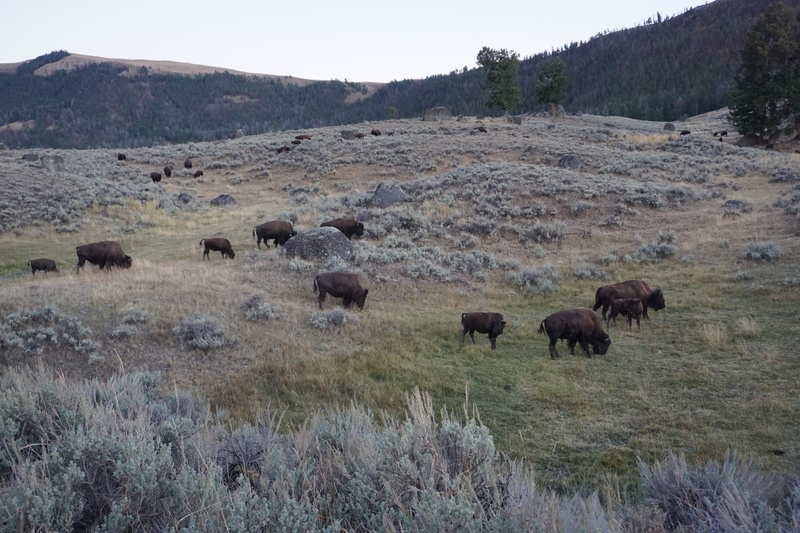 6 – Drive through the Lamar Valley at least once to see the herds of Bison. 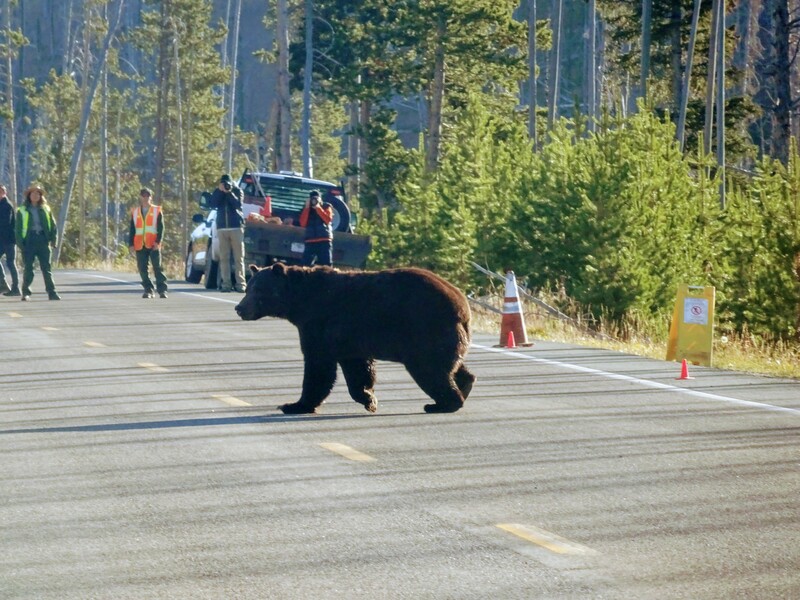 7 – If you’re hiking then you probably need to carry bear spray which you can rent at several of the visitor centres.